Martinez et al., 1995, “Psychological aspects of Brazilian women with fibromyalgia”, Journal of Psychosomatic Research. Thieme et al., 2004, “Cormorbid depression and anxiety in fibromyalgia syndrome: relationship to somatic and psychological variables, “Psychosomatic Medicine. Rose et al., 2009 “Study on personality and psychiatric disorder in fibromyalgia”, Presse Medicale. Cerón Muñoz et al,. 2010 “Fibromyalgia and personality disorders”, Semergen-Medicina de Familia. Uguz et al., 2010 “Axis 1 and Axis 11 psychiatric disorders in patients with fibromyalgia “, General Hospital Psychiatry. Pando Fernández, 2011, “Fibromyalgia and psychotherapy” Revista Digital de Medicina Psicosomática Psicoterapia. Gumà-Uriel et al., 2016, “Impact of IPDE_SQ personality disorders on the healthcare and societal costs of fibromyalgia patients: a crosssectional study”, BMC Family Practice. Kayhan et al., 2016, “Sexual dysfuntion, mood, anxiety, and personality disorders in female patients with fibromyalgia,” Neuropsychiatric Disease Treatment. It appears from these articles that people/women with fibromyalgia are hysterics, difficult to manage, and obsessive- compulsive. The thousands of readers of my blogs definitely have something in common with one another, but it is not a personality disorder. Our commonality is hyper-empathetic sensitivity in a world gone awry. While I don’t know about but three celebrities who have or had fibromyalgia I cannot attest to these three as having personality disorders. I don’t know Lady GaGa who has stated she has FM, but I have read extensively about Florence Nightingale and her retirement to seclusion at age 38 after being in the Crimea. 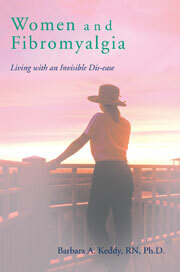 Was it PTSD or fibromyalgia she suffered from and aren’t they the same? Was she in fact hysterical when she served during the Crimean War? Was she difficult to ‘manage”? Was she in fact an ‘obsessive-compulsive’ person? My questions are the result of years of living with this condition and self reflection. Yes, Nightingale wanted to change the world of health care and even the military, both of which she considered mismanaged. Is that obsessive-compulsive? Did she fit this personality disorder pattern? Do I? As a child, an adult, a responsible mother, wife and professor I was never considered “difficult to manage”, in fact the exact opposite. I was generally compliant, easy to get along with and certainly an obedient child. More to the point I have never been in the least bit obsessive-compulsive, and as for hysterical about everything in life I don’t fit that picture. Additionally, I have never been considered a perfectionist, in fact, (unfortunately for my spouse) the exact opposite again. So why is it that we are considered people with similar “personality disorders”, a damning label? Is it because we have an invisible dis-ease and therefore our health challenges are considered suspect? Is it because the majority of us are women and highly sensitive? Why is it that the military who have PTSD (fibromyalgia) have a different name for the same symptoms? We all have great concern for the veterans who suffer from shell shock/ Gulf War Syndrome/ battle fatigue/ PTSD (all can be compressed into the label of fibromyalgia) and we acknowledge there are degrees, as there are with those not in the military who also have FM/PTSD. I prefer instead to turn this around, turn it onto its head and use a different language. As stated on many occasions, fibromyalgia occurs in highly sensitive persons (HSPs as Elaine Aron has defined the concept in her original book The Highly Sensitive Person). Whether or not this is nature or nurture is debatable, but nonetheless the child who is highly sensitive feels things very deeply and as an adult this trait exemplifies a certain type which is not a disorder, but rather as Aron states, is a gift, like the canary in a coal mine. We DO have a hyperactive mind, a frequently over stimulated central nervous system, with a highly-empathetic nature. We do feel the pain of others too deeply. The question though is to ask these researchers if we have a disorder or rather, an intense desire to help others to the detriment of ourselves? Consider this: why do so many nurses and social workers have fibromyalgia? Why are so many military personnel suffering from PTSD ? We see, hear and anticipate the pain of others in these overly sensitive minds of ours to the extent that anxiety becomes second nature, particularly as we had not developed a hard shell in our earlier years. We are highly intuitive, much more than the general public. Is this a disorder that is perceived as deplorable? Is it not a gift? Why does it continue to have a psychiatric label that is shameful? Thank you for your posts. I am grateful to have a place to read people’s experiences similar to mine to help me further investigate my health issues. Today, I am dismayed by the article I read in the LA TIMES. Apparently, Netflix is airing a new documentary Series called “Afflicted”. Series promotes the idea that CFS, and other similar, difficult to diagnose illnesses, chronic illnesses are psychosomatic. Article indicates a group of activists, writers, filmmakers and Physicians and Scientists have written an open letter to Netflix to take down the show. I will write to Netflix as well and urge you, and/or anyone reading this to do this same. Thank you , Mary! Will get on this immediately. Someone should teach them the difference between psychosomatic diseases and disease caused by the repeated stress of living with constant alertness that childhood trauma abuse or neglect causes. My fibro was caused by my childhood neglect, as perhaps was my ra, however they are not psychosomatic to any degree. Oh Bett: I agree with you completely!! !I just watched two episodes and have so many mixed emotions about the ways in which the people are portrayed. I, like you, believe that these conditions are caused by childhood trauma and then repeated episodes or a huge one, like a car accident, completely- almost- (figuratively speaking) paralyzes the central nervous system. Using words like psychosomatic or hypochondriac doesn’t help us in the least. Then we are portrayed as hysterics. I hope as I watch more episodes that there will be some hint of therapy that is not off beat, or involving blood and so many ‘pills’of a dubious nature and has a counselor of sorts that can help the person come to understand the source of the trauma.